To see a knife in a dream refers to changes in your life. To dream that you play with a knife implies that you will proceed to the other business segment because you will have some problems in your business life. To dream that the knife cuts your hand signifies that you will set up a business and you will be relaxed financially. To buy a knife in your dream implies that you will have some changes in your family and a new person will participate in your family. To sell a knife in your dream implies that you will be undecided for the issues which you think but you will do the right at last. To see that you are stabbed in your dream you will overcome your problems and the person whom you like will be with you in these bad days. To see that you stab at somebody in your dream implies that you will be able to make a decision about your house or city. This decision will be the best for you. To dream that a person chases you with a knife implies that your life will change suddenly and this will be very good for you. To dream that you chase a person with a knife denotes that you will have some changes about your school life but this won't be good for you. To see that you hurt with a knife refers to the problems with your friends. You will end your friendships and this will be better for you. To see that you sharpen the knife in your dream implies that you will change your belongings and this change will influence you badly in terms of financial issue. To see a fruit knife in your dream forewarns you that you will be blamed because of an issue that you didn't do. However, your guiltlessness will be proven soon. 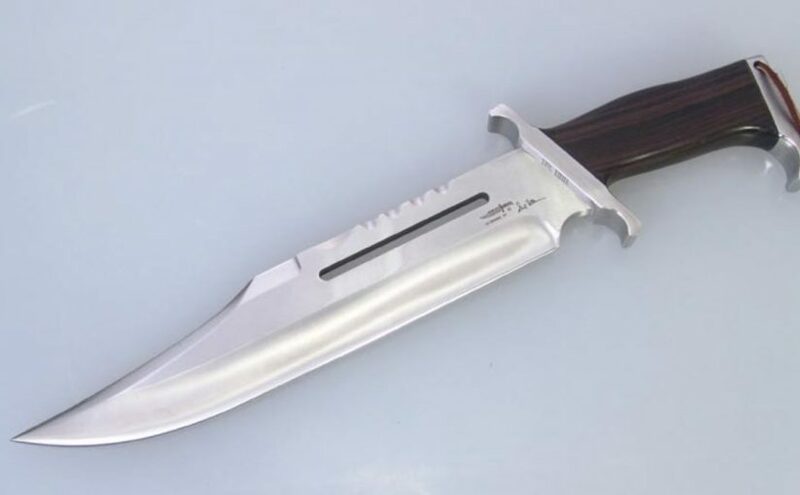 To see a desert knife in your dream refers to the changes related to your health. To see a big knife in your dream signifies that the health condition of your friend will gain ground.